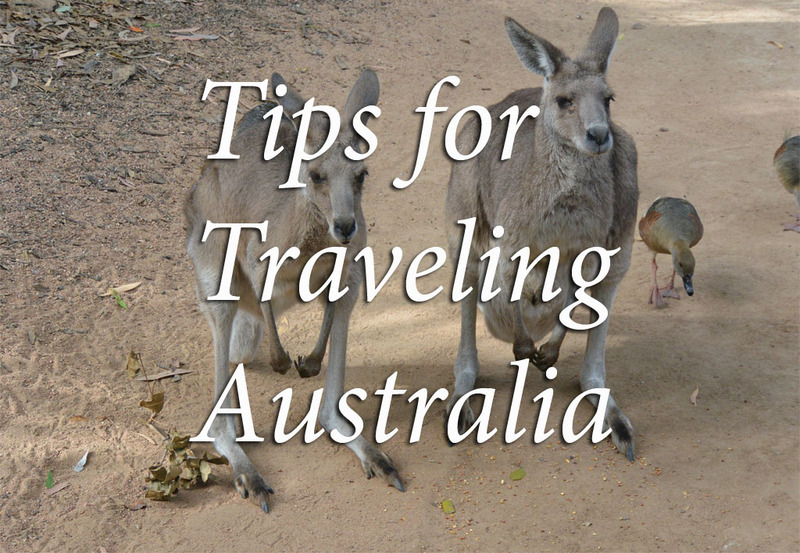 tips for traveling australia | loveliness. We spent over two months traveling the east coast of Australia, basically living in our car, and trying to do things as cheaply as possible. Here are some of the tips I picked up along the way. You can also see my tips for traveling Thailand, Cambodia, and Indonesia. A little tip from me to you. Don’t rent a car from the Sydney Airport. We had one booked at Hertz a few miles away from the airport, but stopped in at the airport desk just to see how much it would be to get one there. The guy told us that because the Sydney Airport is on private property (I think he said it was owned by a bank?) there are additional taxes (he told us it was 26%) so it costs a lot more to rent from there. We took a 5 minute cab ride and saved ourselves over $100 AUD. This may sound pretty obvious, but I’m not just talking about planning your route, and the things you want to see. When we were in Cairns, we found out about Divemaster Internships, where dive boats will pay you to work for them while you earn your Divemaster Certification, which is usually hundreds of dollars. These internships are offered all different places around Australia, but they only start certain times of the year, and they are usually at least 3 months long. If we’d known about it before we’d arrived, this would absolutely have been something we would have wanted to do. But since we didn’t, and we missed the entry on many of the internships, we weren’t able to do it. Think about the things you really love to do, and are hoping to do while in Australia, especially if you are there for a full year. Are you a great surfer? Kayaker? English teacher? These opportunities exist, and are a great way to make some extra money while traveling, but finding the right opportunity can be time consuming, so it’s best to start making inquiries before you get there, so you can plan your travels accordingly. If you want to work at a bar or restaurant in Australia, you must have an RSA (responsible service of alcohol) certificate. They are different for each state, so an RSA earned in Queensland can not be used to get a job in NSW. Queensland RSA’s can be gotten online for a minimal fee, but while we were there NSW had suspended its online RSA program because they were making changes. It had gone offline in January, and still wasn’t available when we were in Byron in September. It was weirdly easy to register our car. We’d only been in Australia about a week, when we went to the RMS (the Australian equivalent of the DMV). I’d certainly noticed cultural differences, but the difference in experiences between registering a car in the U.S. (in Canada I’ve only ever dealt with vehicles at the tiny office in my tiny town where everybody knows everybody, so it’s not really a trying experience) and registering a car in Oz really reinforced the point that we were not in Kansas anymore. In the U.S., I get immediately stressed whenever I have to go to the DMV. It’s long waiting, usually I don’t have what I need, or there is some strange procedure that I’m convinced is only there to make life miserable. In Australia, the guy was super helpful, when we asked if we needed Australian licenses he said “If you can drive in California, I’m sure you can drive here”. And he let us register the car without an address, we just had to use the receipt from our hotel stay a few days earlier. You must have an address to register your car, the guy even told us that a lot of travelers end up renting a room just to get the receipt with an address on it, even if they aren’t staying in town so hold on to your hotel receipts if you’re going to be registering your car and you’ll save yourself some money. The whole thing took about 10 minutes, and was completely stress free. Except for the guy spent the entire 10 minutes cheerfully telling us stories of all of the things that were waiting to kill/eat us in Northern Australia, so there was that. Gumtree is the best thing ever if you are traveling through Australia. It’s basically like Craigslist, but you can find anything you need on there, from places to rent, jobs, cars for sale, or even rides/ people to travel with. Buying a car was probably the smartest thing we did when we arrived. We rented a car for only two days while we were finding one to buy, and it was really expensive, definitely not something we could afford long term. The key is to look for a good car, preferably one that hasn’t been used by backpackers or travelers before. It’s often very hard to tell what kind of condition these vehicles are in, and mostly travelers just want to sell the car and get out of the country. The upside is, you can usually get these kinds of cars pretty cheap, but I’ve heard a lot of horror stories of people spending all of their travel money fixing their car over and over. If you are looking to buy a car like this, we were told King’s Cross in Sydney is the place to go. People bring their cars there and sell them, so you’ll have lots of selection. We ended up buying a car (an Outback, good condition, with room to sleep in the back) off Gumtree from a guy who had it as a second car. He was only the second owner, and knew the first owner, so we had a complete history. We never had a minutes problem with our car, and we drove it all over the place, and we were able to sell it for the same price that we bought it for before we left, so we essentially traveled all over Australia for nothing but the price of gas. One thing to look out for is a roadworthy certificate. They don’t have them in every state (they don’t have them in NSW) but in some states they do, so be sure to look into it in the state where you are buying your car before you buy it, since you can’t register a car without a roadworthy certificate, if one is needed. Also, look for a car that has as much time left on the registration as possible, to save yourself the cost of re-registering it. This is a piece of advice directly from a born and bred Australian who has lived there all his life. We stayed with him in Byron, working on his acreage, where he gets hundreds of backpackers/traveller’s every year. Most people fly into Sydney, do their traveling, and then leave from Cairns, and try to sell their car or other camping/traveling gear before they leave. Since everyone is leaving from Cairns, selling your car, and getting any money for it at all is hard. We were sitting in a hostel in Cairns one day when a Swedish couple walked in and handed the keys to the owner, because they had to leave that night and nobody had wanted to buy their car. They even offered it for free, no takers. If you can plan your travels so you leave out of Sydney or Melbourne, you have a lot better chance of actually getting some money back when you sell your car or gear. I swear if I had known about this, I would have gotten a job at the coffee shop down the street from my house for a few months before we left. Baristas are a hot commodity in Australia. They don’t have coffee like we have coffee, they have coffee like Italians have coffee. There is no such thing as “I’ll have a coffee”. If you try to order one, you will get a blank look, and inevitably the question “What kind of coffee?”. Drip coffee is not a thing. You have to order an espresso, a long black, a flat white, a mocha, a macchiato, a cappuccino, etc. Everywhere. Even at Maccas (McDonald’s). Most of the jobs I saw advertised on Gumtree were for experienced Barista’s, and they make anywhere between $20-$25 USD per hour. Jealous. In the summer time (November to Januaryish) in the northern part of Queensland there are a lot of jellyfish. Like, you can’t go in the water without a stinger suit lots of jellyfish. Just something to keep in mind if you’re planning on being up north during those months. P.S.- I’m really not big on self-promotion, most people I know don’t even know I have a blog, it’s just something I do for fun. But recently I’ve taken the plunge and started an Instagram account for sharing the things I’m writing about, so feel free to follow along here if you’d like.